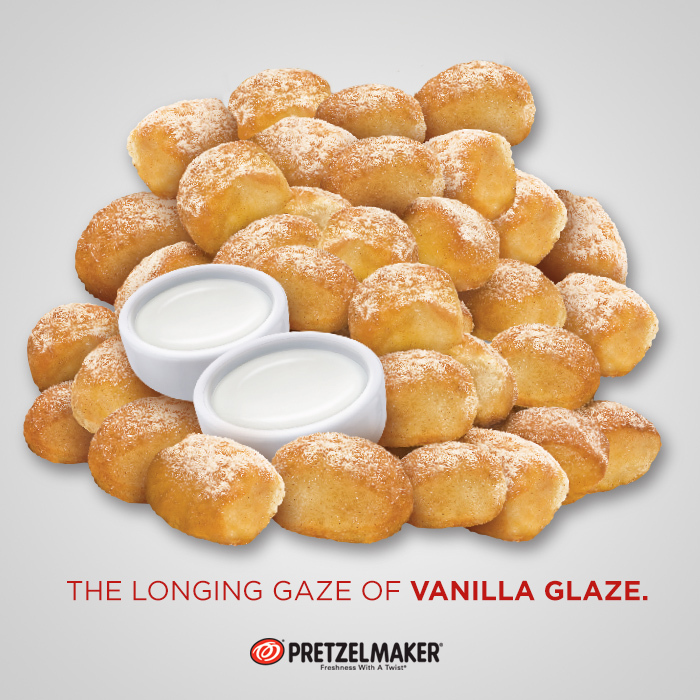 Pretzelmaker is a quick-service dining restaurant owned by Global Franchise Group. 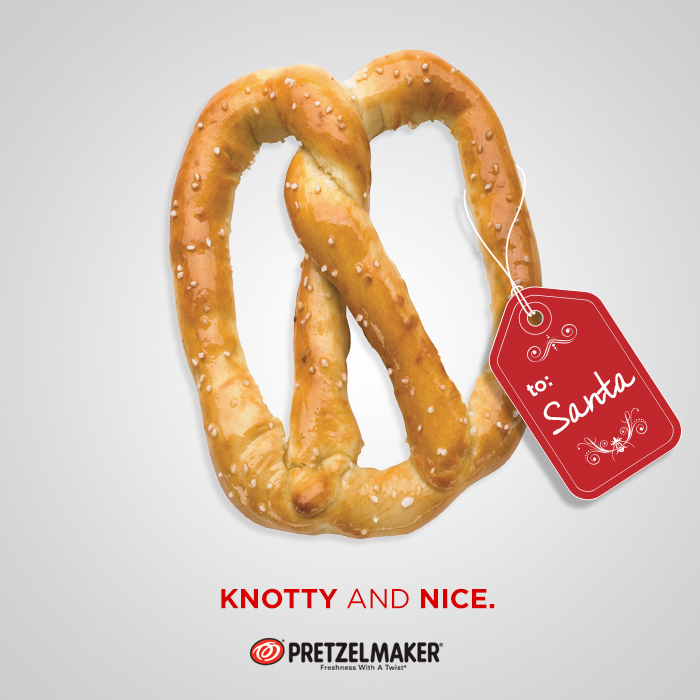 These stores provide various flavors of pretzels and pretzel bites, often located inside shopping mall food courts to appease snack-hungry shoppers. 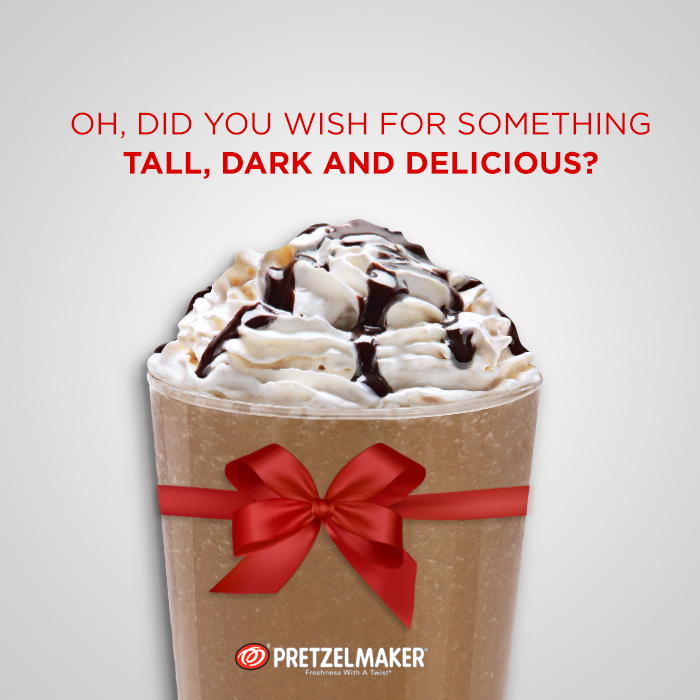 In 2012, my team began working with Pretzelmaker (and other GFG brands Marble Slab Creamery, Maggie Moo’s, and The Great American Cookie Company) to create organic and paid social media content. 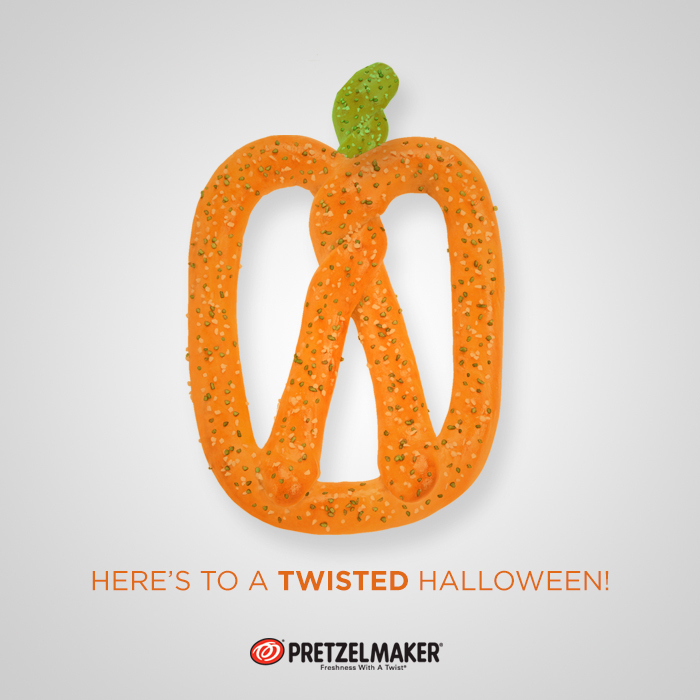 By taking the Pretzelmaker brand and giving it a unique voice and featuring the product and colorful branding as the primary visual language, my team and I created a cohesive, entertaining social campaign that increased the Pretzelmaker brand's social following and engagement rates. In 2013, the brand branched out from their snack-friendly comfort zone in an attempt to attract more traffic and sales from the lunch and dinner crowds. 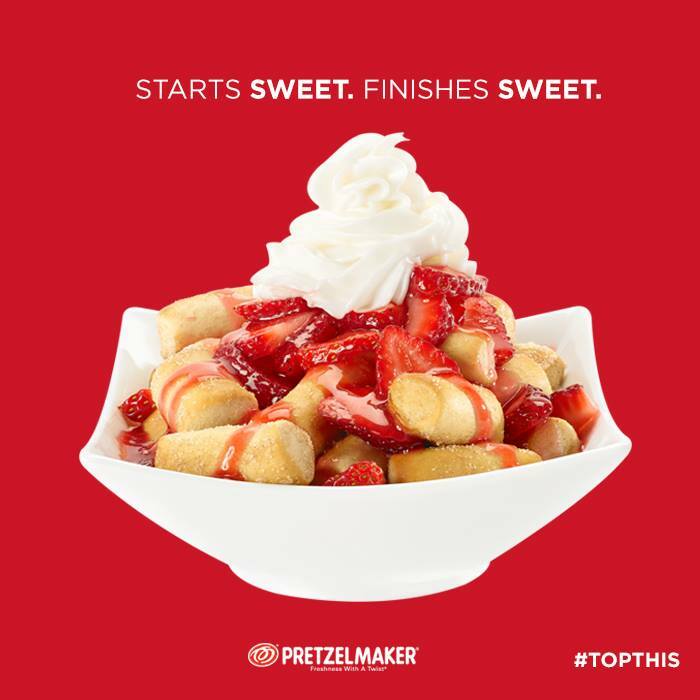 Their new endeavor would literally top the traditional idea of pretzels — with your choice of chili and cheese or strawberries and whipped cream. My team and I began ideating first on names and branding for this new product, and we landed on the deliciously alliterative “Bowl of Bites.” From there, the branding experience began, wherein I designed everything from light-up cardboard standees to a branded cheese dispenser. 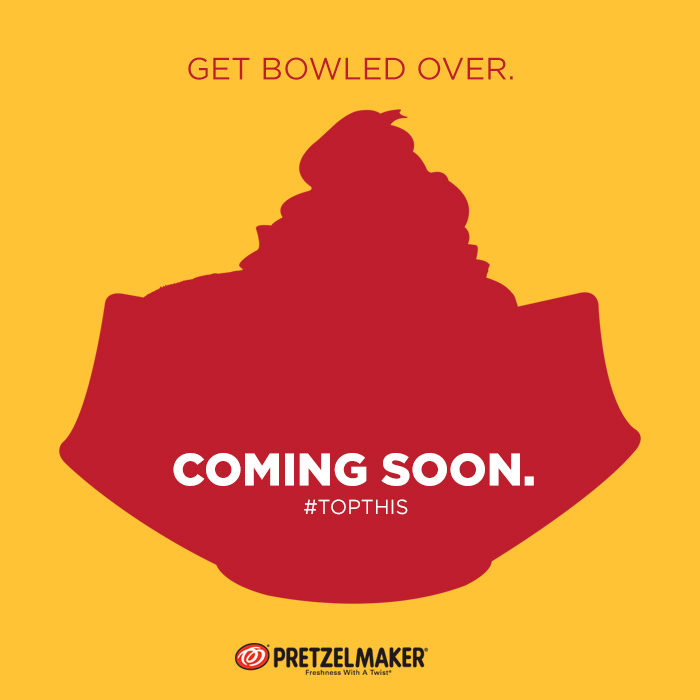 We first debuted Bowl of Bites on social media, creating a series of teaser graphics for the weeks leading up to BoB’s grand reveal. 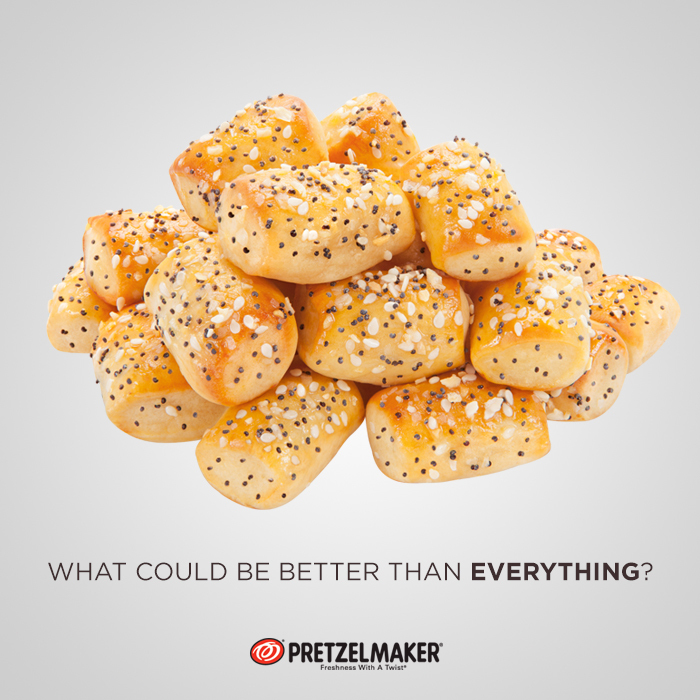 Our campaign was a call to action for the bored lunch eater, encouraging food court guests to re-think what a food court pretzel looks and tastes like. And when topped with chili and cheese or strawberries and whipped cream, your old snack just became your new favorite meal. It was also an outright challenge to food court competitors, a la Taco Bell's "Think Outside the Bun," acknowledging that every lunch hocker has their idea of what lunch should be, but we took that boring old idea and topped it — with chili and cheese, no less.